In a recent editorial leaked in pre-election banter, the Labor party is recommending an increase to the available hours on a Saturday to 34 as the party softens its attitude towards problem gambling. On a more sober note, on a recent Saturday, there were 31 meetings of horse, harness and greyhound racing with most meetings of the first category. Of these 31 meetings there were 253 races and 2,635 participants (before scratchings). Imagine that, over 2000 individual horses and/or greyhounds racing on the one day. Let’s imagine further we set aside 10 minutes to study each race. That’s 2,530 minutes or over 40 hours study for the one day’s racing. There you go, the Labor party short changing us again only offering a lousy extra 10 hours. Imagine further you only spend one minute on each race then it’s still over 4 hours of study. Myself personally I can barely read through the names in a minute let alone make a selection and place the bet. So for the average punter, time management is a major issue. This isn’t time management it’s more like time boot camp, and who says you have to be fit to do boot camp – the average Saturday is the punter’s boot camp each and every week. So how do you get around this problem? How can you make the best from the 253 races and find that perfect solution? Answer, you can’t. And this is of course one of the major problems with modern racing. There is no way to sift through that many events and find the best races and avoid the worst ones. Most of the time, there isn’t even enough time to make a decision which is a good or bad betting proposition. You can of course have some sort of blackbook setup flagging your favourites when they run but often the best wagers come from some of the least likely events. So there is no ideal answer but the best compromise which is nothing new is to wager in the highest class meeting available and avoid the lesser racing (blackbookers can be followed at all times and any meet). 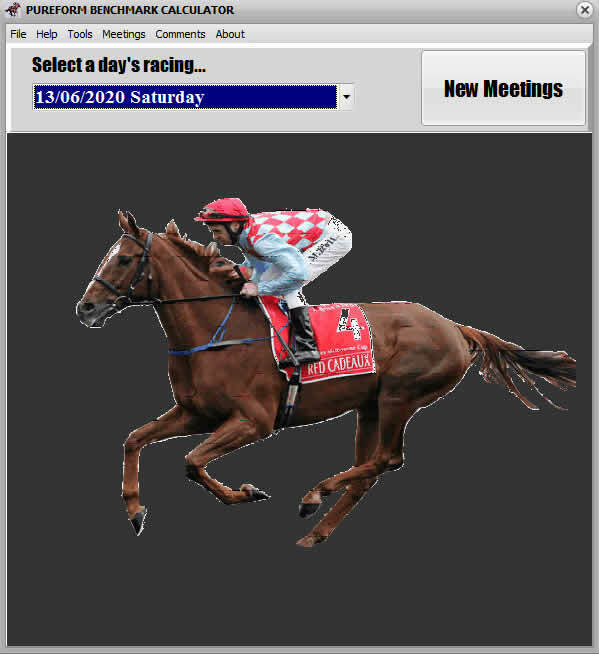 So if the best meeting is run in Brisbane, then bet in Brisbane and avoid the other meetings, if in Melbourne, then bet Melbourne. If there are top races run at more than one venue, then bet those top races at the different locations. But that’s all. It takes a long time to realize that when a top meeting is run, especially in one state (or there is a major carnival) that the remaining horses in that state and often interstate are simply donkeys. And the hee-haw factor comes into play too much when betting on horses that are inconsistent, unreliable or simply too darn slow to support. On any ‘normal’ race day, the provincials are a great place for a wager. When there is a top city meet, play the major feature. Now for the top races, which are the best to bet on? Clearly set weight events are the best, weight for age and some of the classic events for 2 and 3yo’s with the best horses usually getting a weight advantage. 2 and 3yo’s have the improvement factor which can be a problem. Fillies and mares races are typically the most difficult with the luck factor at extreme. Barriers in top events are often less crucial but still play a major part while with most horses trained to the minute the need for mounting yard inspections is diminished. Focus can be clearly placed on the main factors in the race – the form, the likely race characteristics and finding that elusive winner or exotic wager. So what are the major factors? Clearly knowledge of the distance and class conditions in the race are first and foremost. No point working out a race without clearly knowing and understanding the class of the race and what that means. Next, the likely track condition is imperative. Some horses simply do not perform on a concrete hard track or a complete bog and some on any condition in between. After this, the likely characteristics of the track are important, but often difficult to assess. Is the track favoring leaders, or are they running on? This factor can alter every selection and turn a potential winning day into disaster. Is there going to be pace or will it be the typical dawdle / sprint home combination? This factor melds directly into the likely positions of each horse in the run and this then leads to a combination of barrier and jockey. Some jockeys think about what to do in a race and plan their run from a good/wide gate. Finally after (or before) considering all this, weights and class then account for the majority of the selection criteria. But no great barrier, top jockey or lightweight handicap is going to get a donkey past the post so class and weight ratings are first and foremost, assuming you have some solid ratings or strong knowledge of all the players. And there it is, no extra 10 hours on a Saturday but some insight into how to best play the punter’s boot camp.